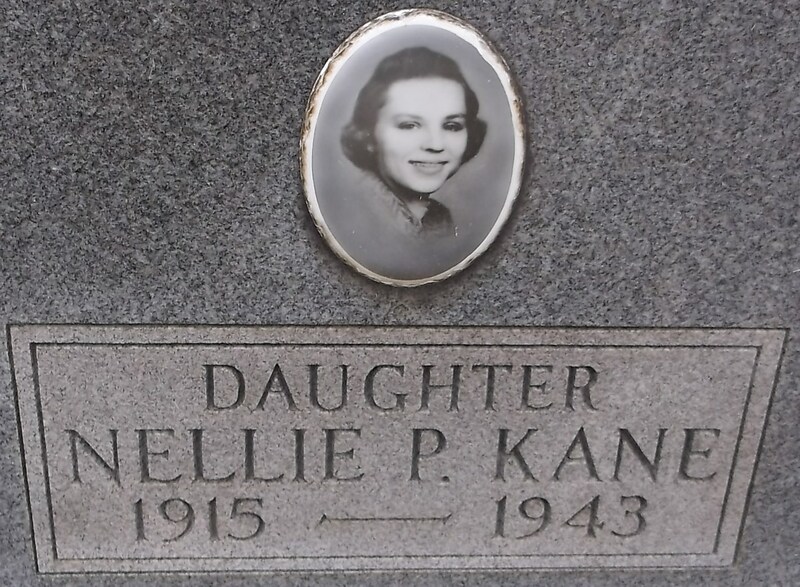 Nellie (Anelė) Julia Polianski Kane (1915-1943), my second cousin once removed, is buried at Holy Cross Cemetery in Brooklyn Park, Anne Arundel County, Maryland. 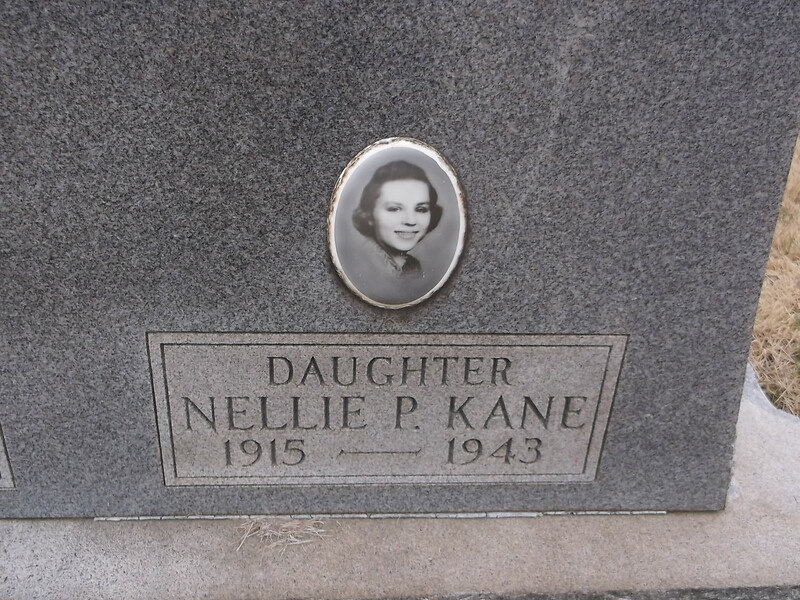 Nellie was born in Maryland, the oldest child of Lithuanian immigrants Joseph Anthony Polianksi (1890-1952) and Anastasia Radauskas Polianski (1892-1978). She grew up in Baltimore and graduated from Eastern High School there in February 1933. According to the 1933 yearbook, The Eastern Echo (page 38), "Polly" could usually be found talking and had a hobby of skating, an ardent aversion to reading essays, and a secret ambition to be a nurse. On the 1940 Census, Nellie is living with her parents, younger sister Helen, and younger brothers Joseph Jr. and Eddie on Pennington Avenue, and working as a bookkeeper for an insurance company. Just down the street is Vincent Kane, a college graduate from Pennsylvania about her age, doing office work for a chemical company (Nellie made more money than him the previous year). 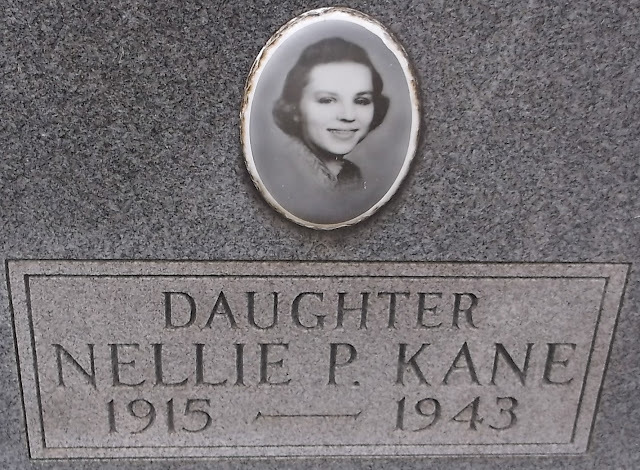 Sometime after that census was taken (on April 11-12, 1940), Nellie and Vincent Thomas Kane (1915-1989) married. He enlisted in the Army on February 11, 1941, and served in World War II, Korea, and Vietnam, ending his military career on his birthday in 1975 as a major. Nellie died on February 12, 1943, in Huntsville, Alabama, so I am guessing Vincent must have been stationed there about that time. They had no children.